Renee’ Sunday, M.D. is the founder and CEO of Sunday Publishing Company, LLC., and RS Commerce, P.C. Dr. Renee Sunday is the Platform Builder. She is a light in this world. She expresses her purpose as being a catalyst for others to walk in their purpose and destiny. She is a Minster, Media Personality, Publisher, Receipt of the Audience Choice Award in the 2016 - Ms. Corporate America Pageant representing Conyers, Ga. , Author, Coach, Grief Counselor, Motivational Speaker, and an Anesthesiologist. She is humble and enjoys being a servant for all people. Named the “100 Top Anesthesiologist ” in the country by America's Top Anesthesiologists from Consumer's Research Council of America, Dr. Renee Sunday provides coaching and advice to over 197,000 followers and growing via www.ReneeSunday.com, her social media channels, and her GOOD DEEDS Radio shows a part of her Media Company. Dr. Renee Sunday at her core is a humanitarian and has always been deeply inspired by helping others from all walks of life. 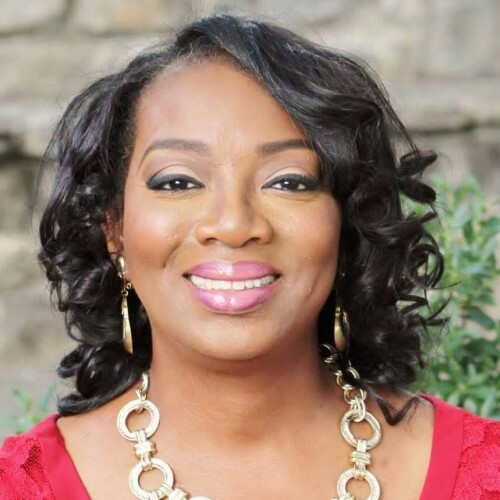 Dr. Renee Sunday is an award winning 18 - year practicing doctor in the area of Anesthesiology, Media Coach, Self-help and Motivational Speaker, also known as a Grief and Loss Counselor as an Ordained Minister. By the time Dr. Renee was in her teen years she had experienced life ugly side; bullied and nicknamed “Olive Oil” for her tall stature and clothing appearance because everything she wore was simply too short. Her deep drive for humanity was born out of this place where she felt humanity needed more. Dr. Renee Sunday All in ONE day she went from a $300,000 income to a $0 income. She hung in there with faith as her anchor. During the economic crash of 2008 jobs became limited and companies including hospitals scaled back; she was scaled. The thought of giving up was not an option, and in that moment Dr. Renee began to create her own economy. Today she successfully runs and operates Sunday’s Publishing, Media Network which includes ( radio and magazine), Media Coaching| & Consulting, Ministering and Motivational Speaking. Dr. Renee perseverance illustrates how to find success if you really want it simply “TRUST“. This was my destined path. Dr. Renee stated “I TRUSTED… and listened to my heart and knew that this was what I was supposed to do. I remained true to being a medical doctor and yet within me for years, I was deeply inspired to help entrepreneurs to think about their dreams. I said YES and took the smart risks to invest in humanity and that investment now allow women in business to thrive no matter what state the economy is in”! Helping Women Thrive as Authors and Media Experts with Sunday's Publishing, Coaching and Consulting Programs. Over the last 5 years, Dr. Renee has advised and helped nurture the dreams of women desires to become a published author and media expert. Many of these women have created online opportunities that you see thriving today. Dr. Renee has helped her clients [ BE SEEN BE HEARD and GET PAID] which has significantly increased their marketplace positioning. Dr. Renee Sunday is a recognized and highly respected brand. Dr. Renee has received awards, media, and exclusive opportunities throughout the US. Recently interviewing today’s most influential Pastor’s Bishop T.D. Jakes in her GOOD DEEDS Magazine also being invited to cover media at Bishop Jakes Pastor’s Leader Conference. By popular demand, Dr. Renee is regularly invited to speak on stages delivering powerful messages and practical action steps to groups ranging from entrepreneurs to faith-based organizations to nonprofits and women’s groups. I have practiced anesthesia for over thirteen years. My mission is to encourage and empower others to enjoy life and obtain their dreams. Furthermore, I enjoy being an instrument in God’s Plan to render services to others and to show compassion, love, and the standard of care.” Empower others to propel their message to the world. Renee’ is a radio and television personality – Host of Good Deeds Radio & TV Show, Platform Builder, Grief & Loss Specialist, Group Counselor, Motivational & Inspirational Coach, Passion & Purpose Guru, Author, Publisher, and an Anesthesiologist. Renee’s passion is to be a catalyst to stimulate others forward toward their destiny. For fourteen years , I thought my purpose was doing providing anesthesia services until I went from 6 figures to 0 figure in 24 hours. When one door closed several new doors opened. The doors continue to open on a daily basis. Sunday Grief, M.D. There are two occurrences in life that are 100% guaranteed: being born and the other is dying. When a person dies or passes on from earth, the remaining people (family, friends, and associates) go through the different phases or levels of grief. The grieving process can consist of physical, emotional, and spiritual responses. Your response will not be the same as another person’s response. God created all of us in His image. We have different dreams and goals in life. We have different responses to stress and situations. As a medical professional, I experience first-hand how the body functions and preforms on a daily basis. God’s masterpiece, the human body can sense and respond different depending if the stimuli are positive or negative. The word of God is our compass and direction in life. When the Sunday’ family proceeded through the grieving process ONLY God supplied peace, joy, and a renewed mind in Him. I will share our journey to resting in God’s arms. The word of God will encourage and strengthen us along life’s pathway. God is the ONLY refuge when trials and tribulations come. God is the antidote to going through the grieving process. God will comfort and give confidence. Yes, God had already made the way for me and my family to proceed through the grieving process. This book displays my love for my brother, Junior. I will share the process of grief through my eyes of being his sister and an anesthesiologist. God has given me this mission to express wisdom and guidance to inspire others to trust God throughout the grieving process. “MANIFESTATIONS NOW! BELIEVE, TRUST AND WALK OUT YOUR DESTINY” is a life- changing empowering and inspirational book that reminds you that manifestations occur every second of the day. Seven visionary women share their wisdom and testimonies of Manifestations. This book emphases empowerment of Believe & Trust and provides strategies to help you maximize your Journey of your Destiny. This book will ignite your goals, dreams, passions and purpose and set you on your predestined path to Manifestations Now. Named the “100 Top Anesthesiologist ” in the country by America's Top Anesthesiologists from Consumer's Research Council of America. Twice. Find out more about Dr. Renee' Sunday at http://www.reneesunday.com.